It´s been a long time coming. I have a (two) new projects.After “finishing” my RD250 to RD350 conversion and different mods I got hungry again to find me a totally different project bike. 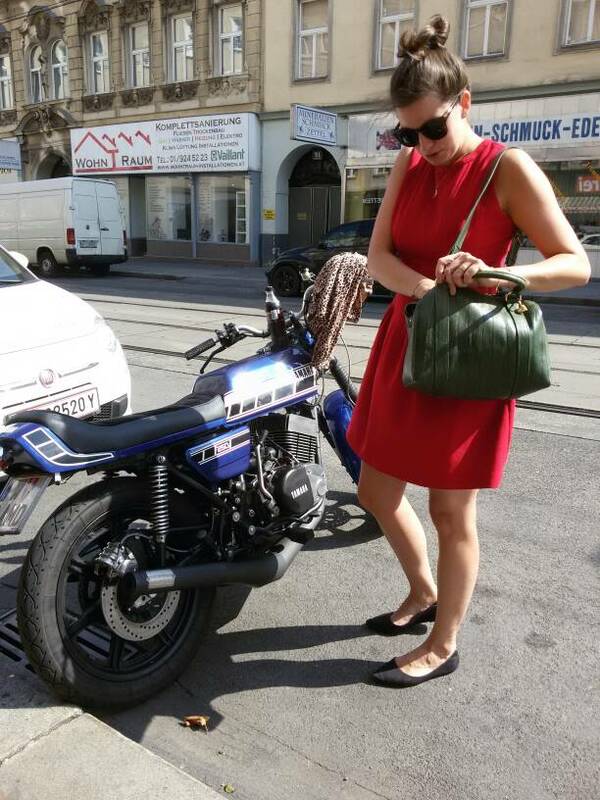 Since I´m always looking for something “exotic” I found two Yamaha XS 750´s. The PO completely modified a small apartement in an old house (and with old I mean around 1890) to a small and extremely dense workshop with 100 per cent Yamaha Triple dominance. All walls were filled with tools, pin ups from the 90´s and parts and stuff for the Yamaha Triples. He offered me two completely stock 750´s for a good price together with many parts for example a 3-1 exhaust setup and a 826 cylinder and jug kit (with the right head gasket). Problem was he couldn´t start the XS´s, one is just a part bike so it needs motor work but the other one should get started this weekend.
.) Is there a way to check for the 2nd gear issue on this bike without running the bike on the street (he told me that I can shift trough the gears by hand if I want)?
. )is the second gear fix an easy fix or should I walk away in this case from this deal?
. 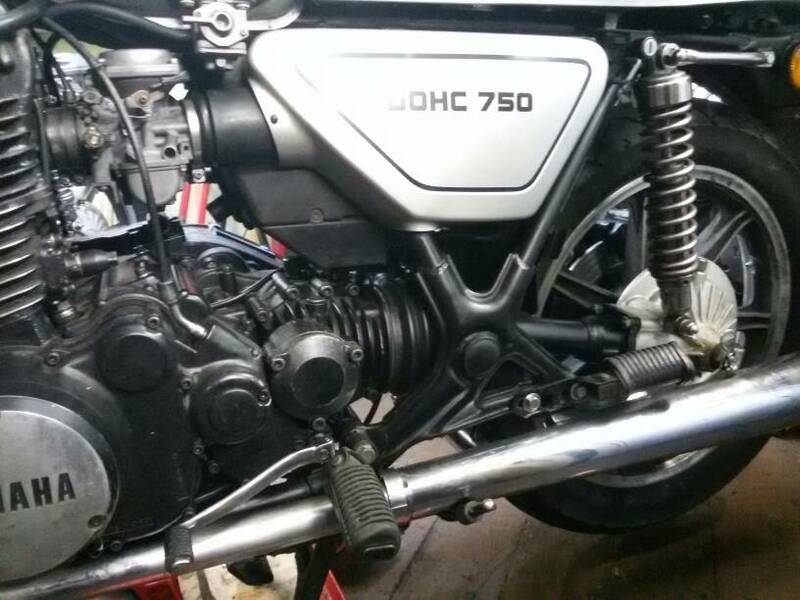 )he used 850 parts to change from the stock points ignition to electronic ignition.is there a way to check if its properly working without running the bike on the street? I will post pics soon! 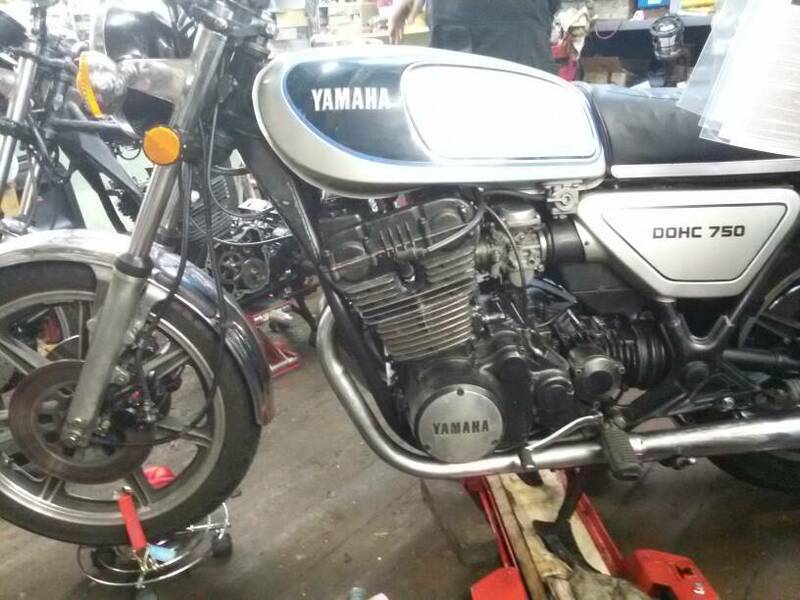 So it happened.I couldnt resist and bought two xs 750's. First plan is the get the original one to start and at the same time slowly modify the crusty one. I'm currently in the process of cleaning the carbs,any help appreciated! there basically broken down to the carb bodies (i dont want to break the 3 carbs apart, hope i can keep em together. I sprayed trough every air bore and jet with carb cleaner and pressurized air, membranes look mint, slides with the needles attached have slight scratches. one of the cylinder 3 floats was even broken and just sitting in the there. do i need to remove the choke mechanism too to clean the bores? You dont need to take them apart unless for changing the butterfly seals. Just go through all the jets and passages and hold up all the diaphragms against a strong light, if it shines through they are shot. Can be mended with a gas proof vulcanizing rubber glue, since they are high $ parts. Only way for you to test if butterfly seals are tight is to put them back on the bike after cleaning and shooting some motor starter at them. You will notice the engine rpm increase if they leak. Am i right that you mean shooting the brake fluid "between" the carbs where the butterlfy axles meet the carb bodies? I will let the engine run warm and then make an oil change (motor oil and shaft oil). probably need to change the rubber mounting boots of the carbs too, they look hard and worn,do you know what the stock mixture screw setting is (I write down the turns out of the screws they were 5 1/4 turns out)? do i need to bench sync the buterflies with some copper wire? thanks for your advice so far! 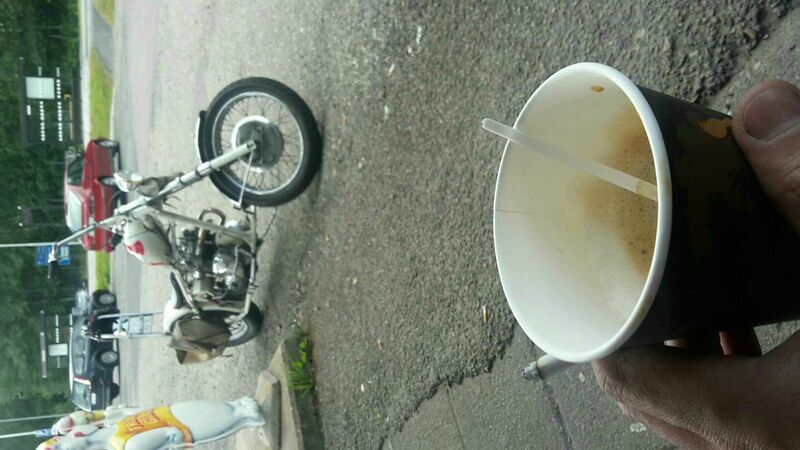 It does not sound right.. will dig out my old carb corpses when im back in the garage. Doing this now: coffee and admiration! thanks for your effort man :-)! just looked up for the carb boots, there seem to be different lengths? !does it matter which one to use or should i stay strict to the stock ones? Depends on your other carb mounts i guess? maybe hang them in there w/o boots and take a measure?